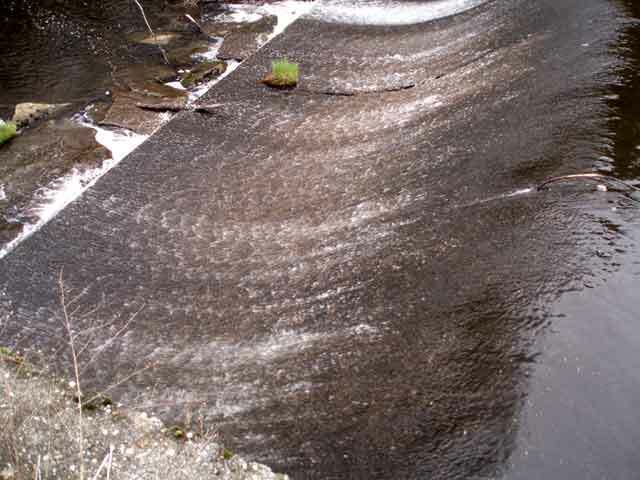 The story of Cole’s Brook began almost fifty years ago in the 1960s. It was then that a developer bought the land with the intention of creating a housing community. 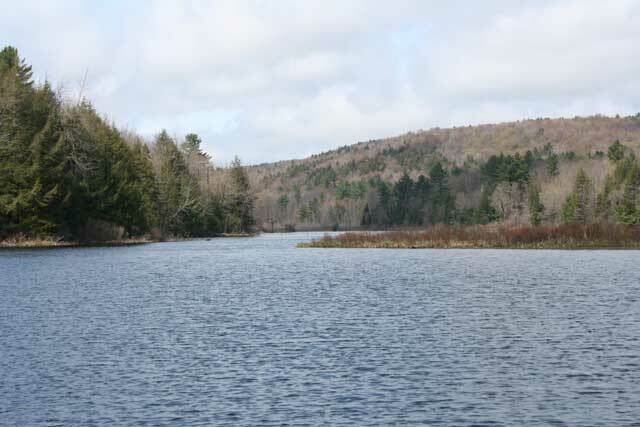 The developer looked at the little wetland straddling rural Washington and Middlefield and saw a lake. After the developer purchased the land he built a damn at the end of Cole’s Brook which created what today is known as North Lake. North Lake is aesthetically pleasing but not very functional for the reason people traditionally buy waterfront. At its deepest point it is about four feet deep so it can not be used for swimming or any sort of water sports. The developer divided the land in to 1/8th of an acre lots and quickly sold them all. Many people saw the potential of the lake. Fortunately the only thing the developer was able to build was a service road and a gatehouse. After this the developer went bankrupt. This left a lot of people with land that they would never be able to build on because there was no road access to their land. Over time many people simply stopped paying the taxes on the land the towns of Middlefield and Washington began reclaiming the land. 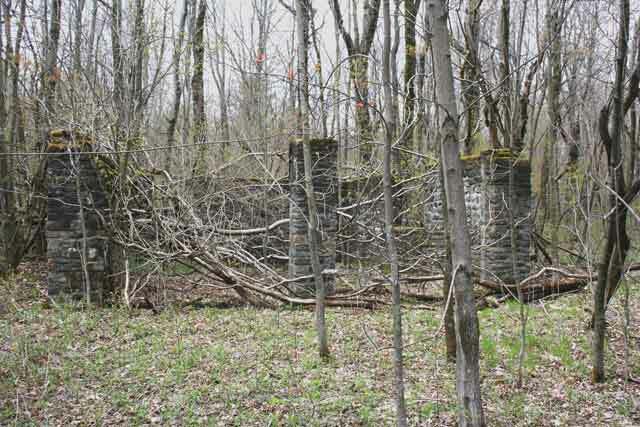 Near the turn of the century the slow reclamation of the land by the two towns had left a patch work of ownership around the lake, the service roads had deteriorated into little more than jeep tracks and the gate house was dilapidated and covered in growth. 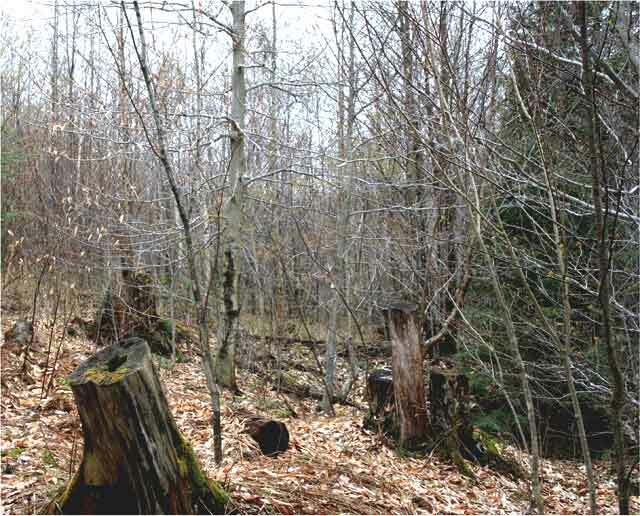 It was at this point in time that a land speculator saw the value of North Lake. The land speculator went through a lot of work to buy the land from the remaining owners, including the towns of Middlefield and Washington. When he was done he had acquired all but a few of the original lots sold. For one reason or another, these people had not interest in selling their lots. It was around this time that Nancy Weiss enters the story. Nancy is a doctor who was living in Holyoke at the time. 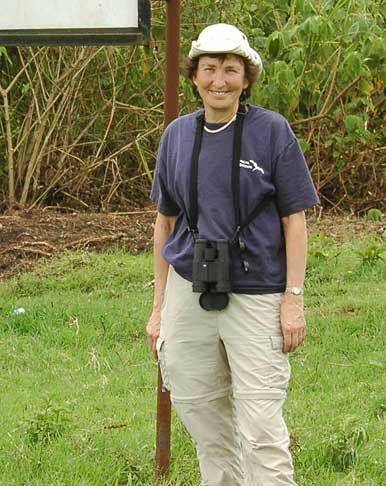 Nancy was and still is an avid birder, but her love of nature extends beyond birding. Nancy was dedicated to conservation and preserving the natural world. In the late 1990s Nancy’s father passed away and she inherited about $150,000. In the past Nancy had already given away two pieces of land, one to Mass Audubon, and another to the Kestrel Land Trust in Amherst, MA. She wanted to do the same with this money. She began by looking in the Sunday paper ads, and one Sunday she saw an ad for property around a lake in the Berkshires. 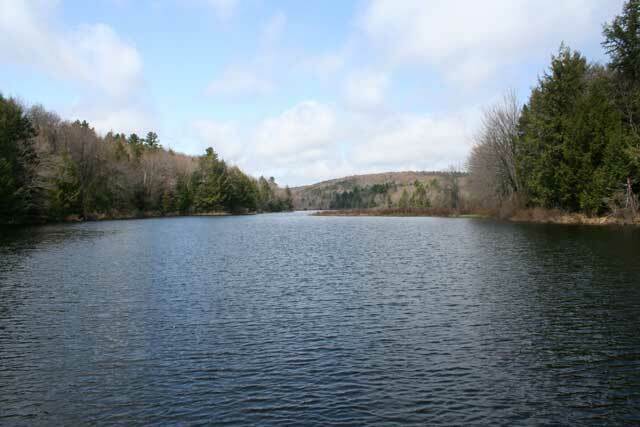 The listing was not actually for the land around North Lake, but for land around a smaller body of water south of North Lake on Cole’s brook. This pond was already prepared for development, and because of this Nancy had no interest in it. 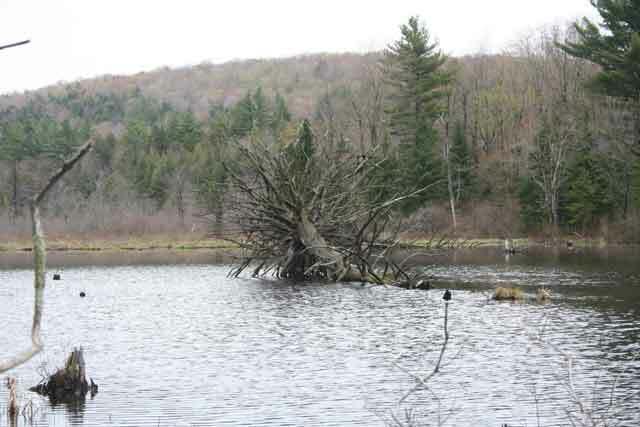 When Charlie found out that Nancy was looking for undeveloped land he brought up North Lake. He told her that he had not done any work yet but would be willing to sell it. Nancy was interested and after a little less than a year Nancy bought the land. 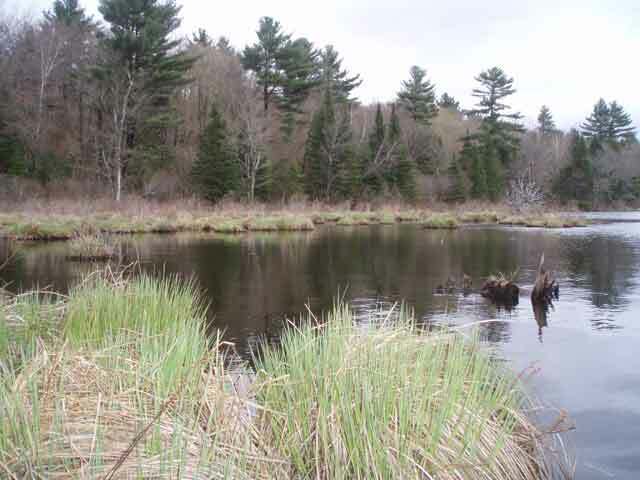 Nancy’s initial interest in the land was mainly because it was undeveloped waterfront land and she knew that undeveloped waterfront land was becoming a scarce habitat. At the time she did not know of all the adverse effects dams can have. 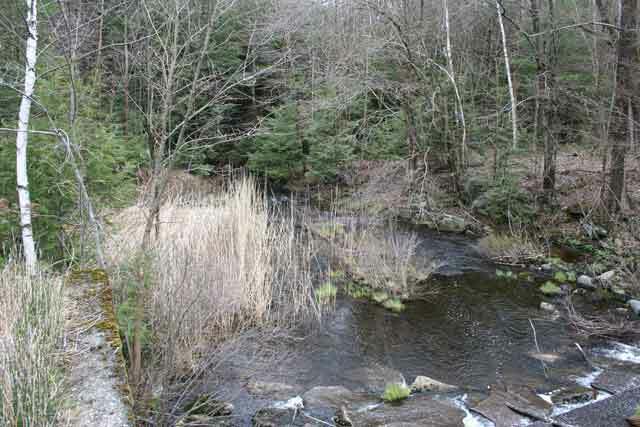 Before it was dammed Cole’s Brook was a cold water fishery, not a very common habitat. 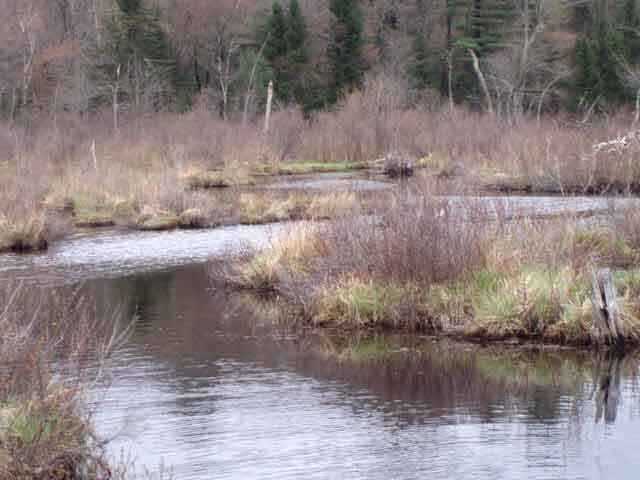 In addition to the cold water brook there were wetlands all around the steam which today we know are valuable as habitat and an essential part of healthy ecosystems. 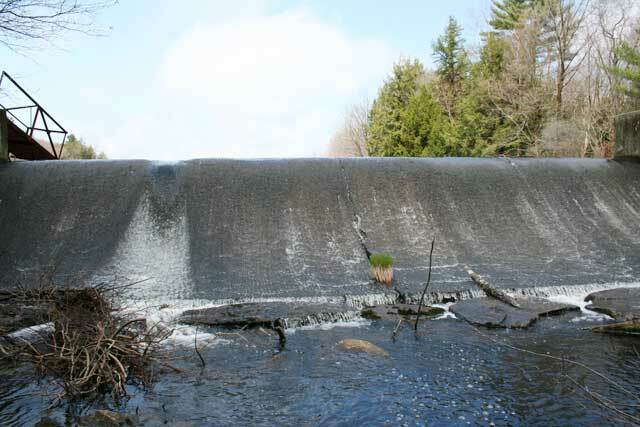 Even with the problems of the dam Nancy saw that the land abutted the Middlefield state forest and would be good for increasing the core habitat area of the forest and protecting the head waters of Cole’s Brook. In addition to the waterfront land Nancy was impressed with the mammal life around the lake which included Otters, Beavers, and a Moose. Once Nancy acquired the land she began to make plans to donate it. She felt that The Nature Conservancy (TNC) was the best organization to give the land too. She believed that it would not fit into the goals of the Trustees of the Reservation, or Mass Audubon. Nancy contacted TNC and in Boston and told them she wanted to donate the land, after some conversation TNC said they did not want the property. They said that the land did not fit into their mission at the time which was protecting rare and endangered species and their habitats. 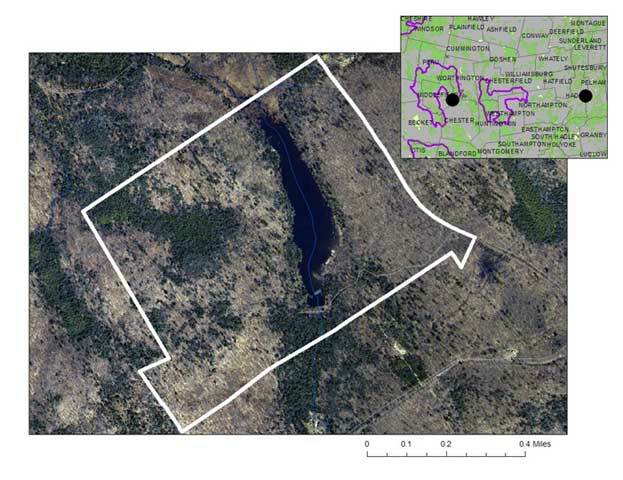 There were no rare or endangered species around North Lake so it did not fit into the scope of the Nature Conservancy. Nancy was a little surprised by this and she believed that TNC was wrong. 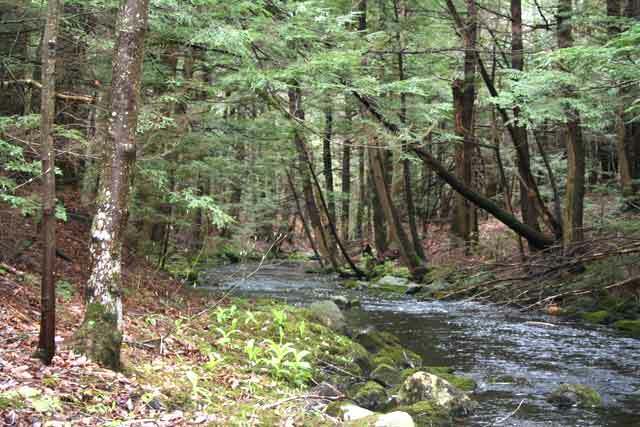 She knew that in the future the land would be developed and she also knew that by protecting it the size of the protected block of forest which included Middlefield State Forest would be increased. After a few years Nancy decided she wanted to try to sell the land. She knew that she would not be able to keep the land indefinitely because of the taxes so she felt that she could sell the land and use the money for conservation elsewhere. In 2001 a group wishing to build a children’s camp got in contact with Nancy and they began talks to sell the land. The children’s camp had plans to develop a small portion of the land and preserve the rest of it, this was acceptable to Nancy. Unfortunately one of the principles of the sale died during the terrorist attacks on September 11th, and the sale fell through. Once again Nancy was left with the land. A few years later a friend of Nancy’s (also named Nancy) from Virginia was visiting. Nancy from Virginia worked for TNC in their fundraising department. Nancy from Virginia knew that TNC had opened a new office in nearby Chester with the goal of protecting the Westfield Watershed. Nancy from Virginia thought that Nancy Weiss’s land would be very desirable to them, so Nancy from Virginia got Nancy Weiss in contact with Bill Toomey the director of the Chester office. Since Nancy first tried to donate the land the mission of the nature conservancy had changed, it was now “To preserve the plants, animals, and natural communities that represent the diversity of life on Earth by protecting the lands and waters they need to survive.” Nancy’s property now fit very well into their mission. 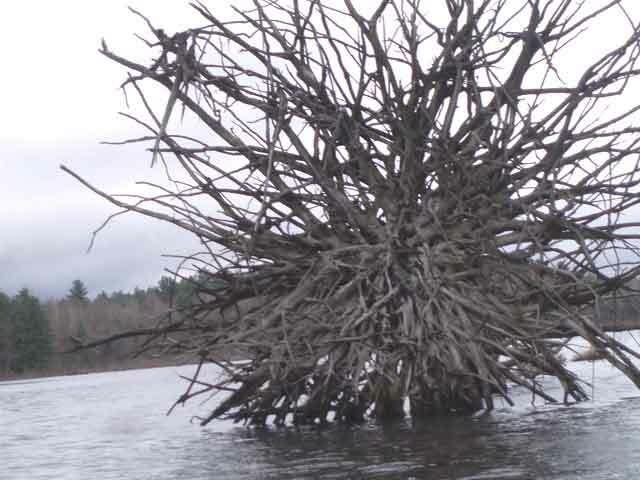 It represented a rare habitat and connected other already preserved land. After a few months TNC purchased Nancy’s land for the bargain price of $325,000, most of which came from a one million dollar donation from Lowes. 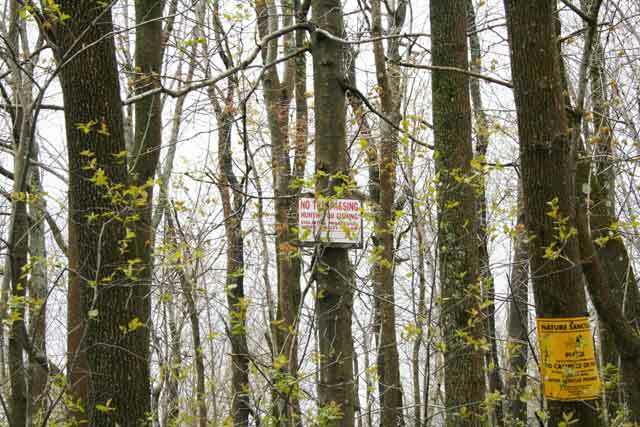 As a condition of the sale hunting is not allowed on the land. The story of Cole’s Brook has a happy ending. The land was finally preserved as Nancy thought it should be. Often conservation requires a combination of patience and perseverance. Today the land is open to the public and anyone can enjoy the land that Nancy wanted to conserve. 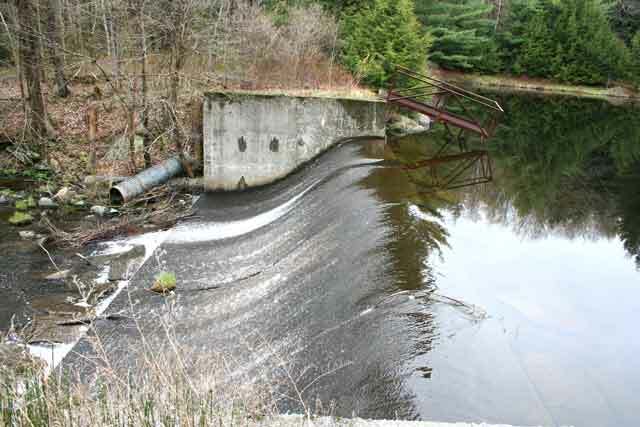 The dam is a source of controversy. TNC believes that the dam should come down but other groups oppose this course of action. Whatever the out come Nancy succeeded in her goal of completing her own conservation project and not just contributing to someone else’s. 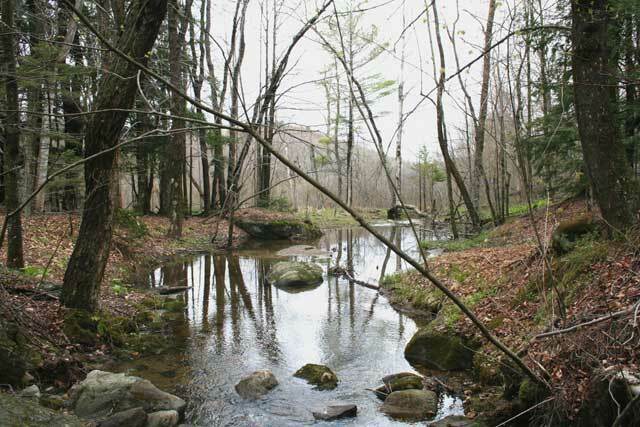 In the future as the Berkshires become more and more developed the land around Cole’s Brook will remain natural. Patience is absolutely necessary when dealing with a conservation deal. 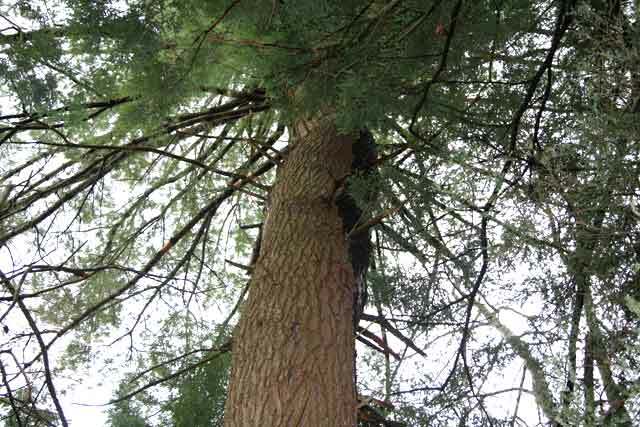 Conservation deals can take up to years to complete. 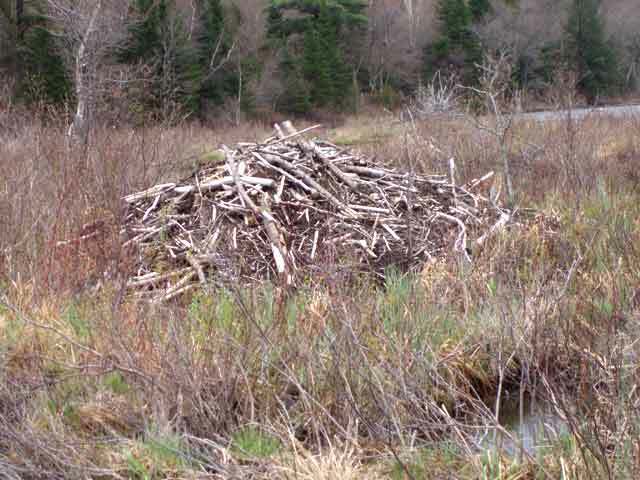 Not all conservation organizations have the same values as even the landowner. Values in conservation organizations can change over time. Fate, luck and even destiny seem to sometimes play a role in completing a conservation deal. Extreme generosity from people like Nancy Weiss is what helps make the conservation world go round. The land was owned by a housing developer in the 1960’s. He went bankrupt and the land was purchased by a land speculator. Nancy Weiss, a retired breast cancer surgeon, was left an inheritance by her father in 1990. Later that year, she used the money to purchase the land for wildlife values. Nancy was interested in donating the land to The Nature Conservancy. They denied her gift because at the time, The Nature Conservancy was only interested in land inhabiting endangered species which this land had no record of. Nancy discussed selling the land to a children’s summer camp. The deal fell through in part because of the events of 9/11. 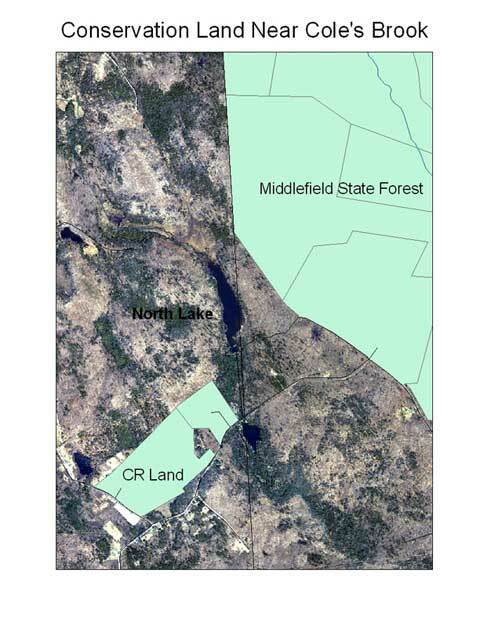 The Nature Conservancy gets a new plan to manage land on the Westfield River watershed. Bill Toomey opened a new Nature Conservancy office in Westfield, Ma in 2004. Nancy reconnected with The Nature Conservancy in 2004 with the help of a friend in Virginia that just so happened to work for the Nature Conservancy down there. The Nature Conservancy purchased the land from Nancy for $325,000 in which she donated back to the organization for future projects. Seven years passed before this conservation deal came to fruition.